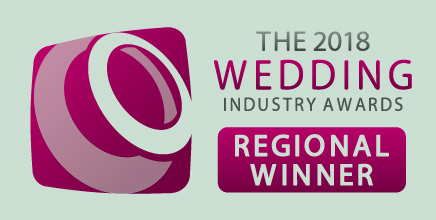 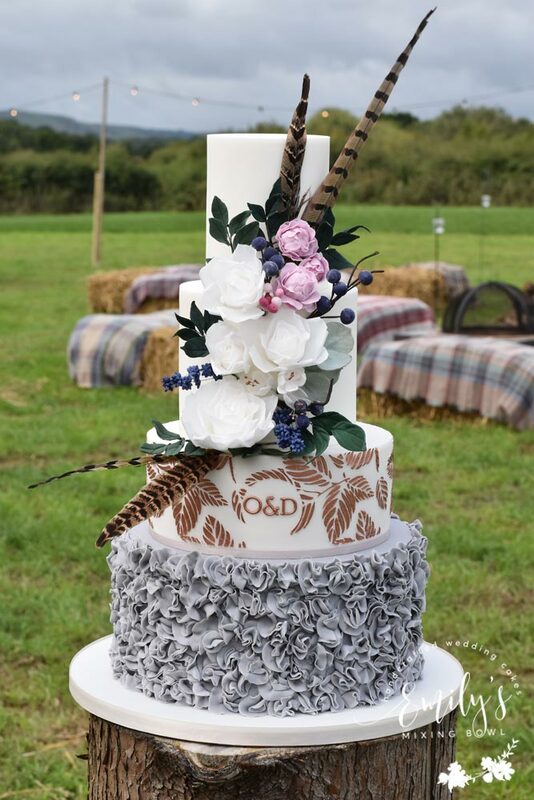 Danni & Ollie had a country themed marquee wedding in a field in Arlington, East Sussex. 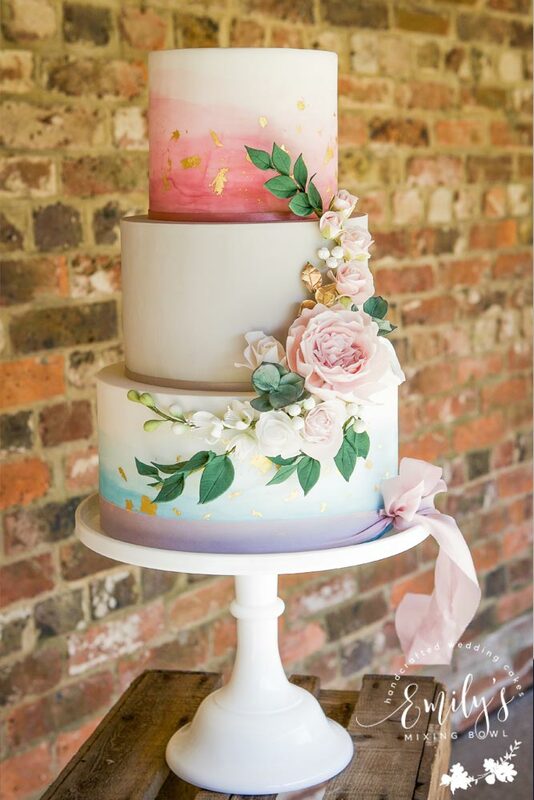 Together we designed this modern cake to match the country theme and colours Danni was using for her bridesmaids dresses. 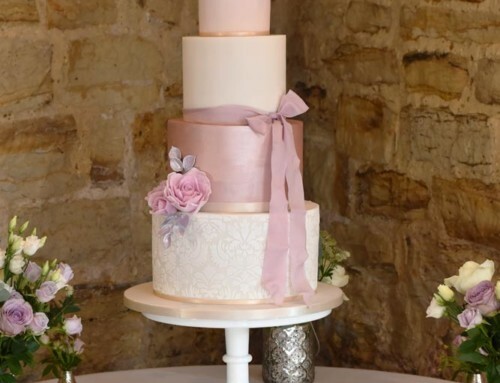 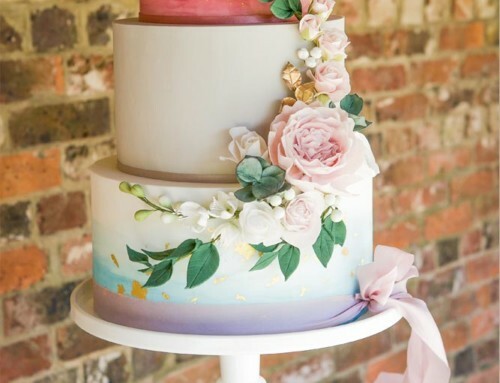 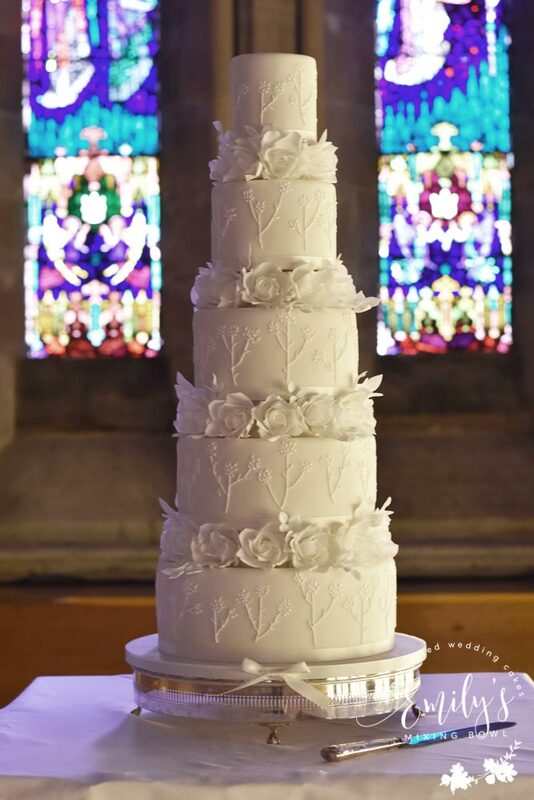 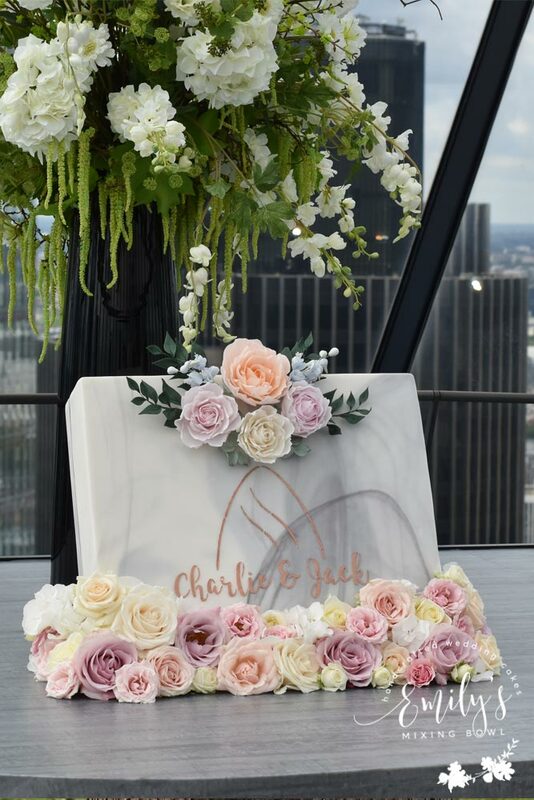 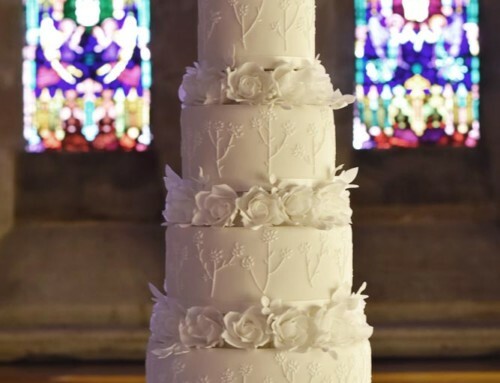 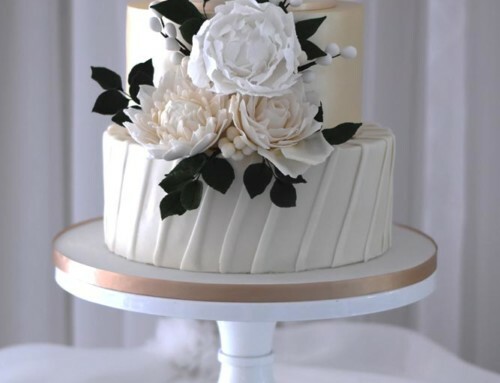 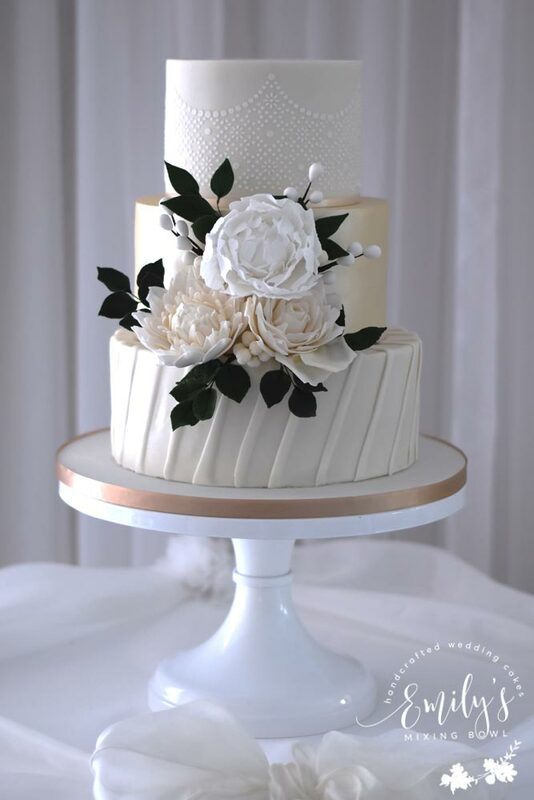 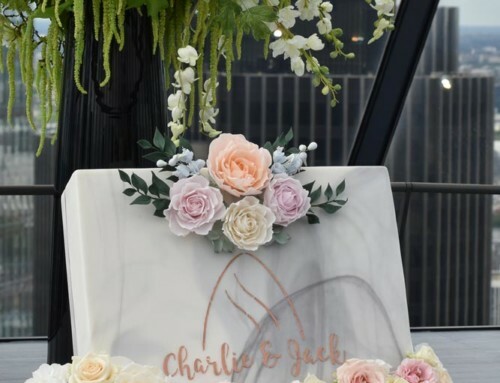 The bottom tier had grey ruffles, the second tier was a stencilled leaf design with personalised initials in rose gold. 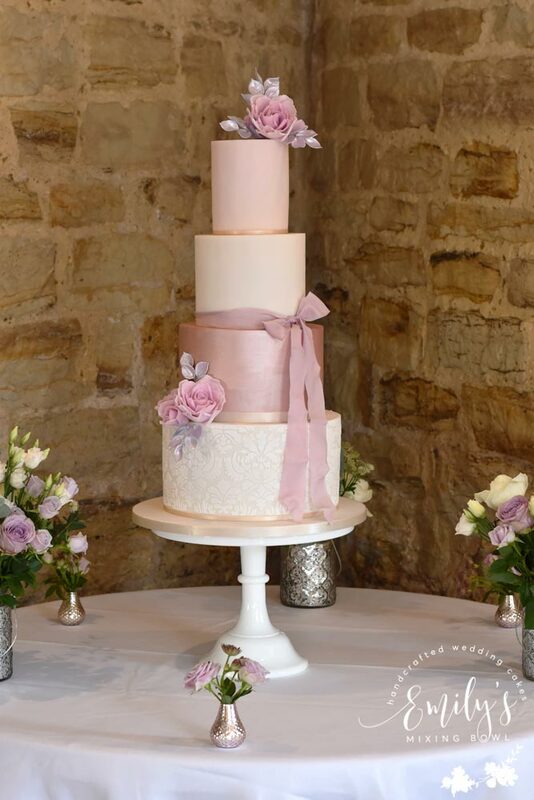 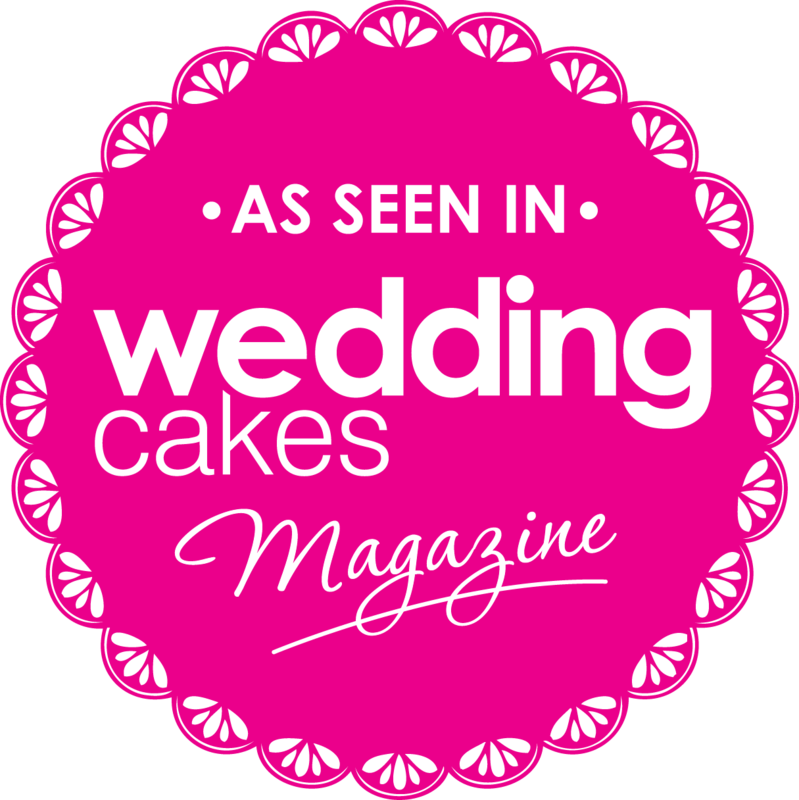 The cake was topped with two white tiers adorned with handmade sugar flowers and pheasant feathers to match the bridal bouquet.